Spring is in the air and we’re dreaming of all those beautiful spring flowers, just waiting to come in to bloom. There’s nothing quite like a stunning table centrepiece to introduce your wedding style and colour scheme. 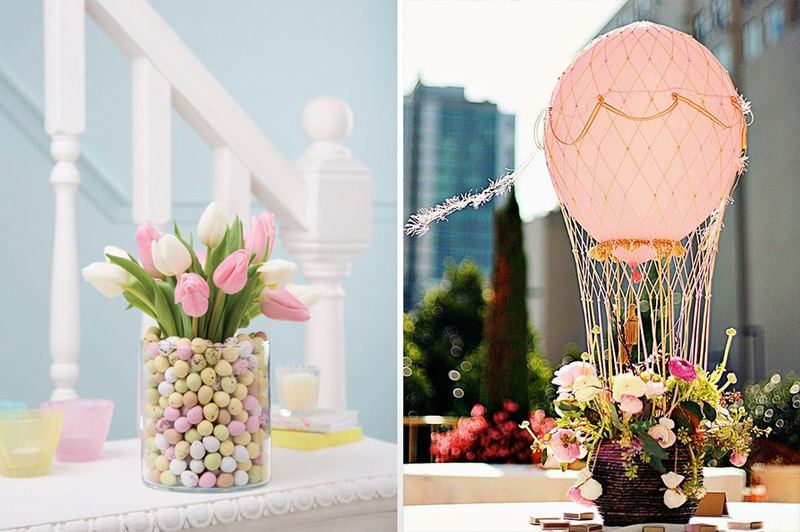 Let’s take a look at some of our favourite spring wedding centrepiece ideas. 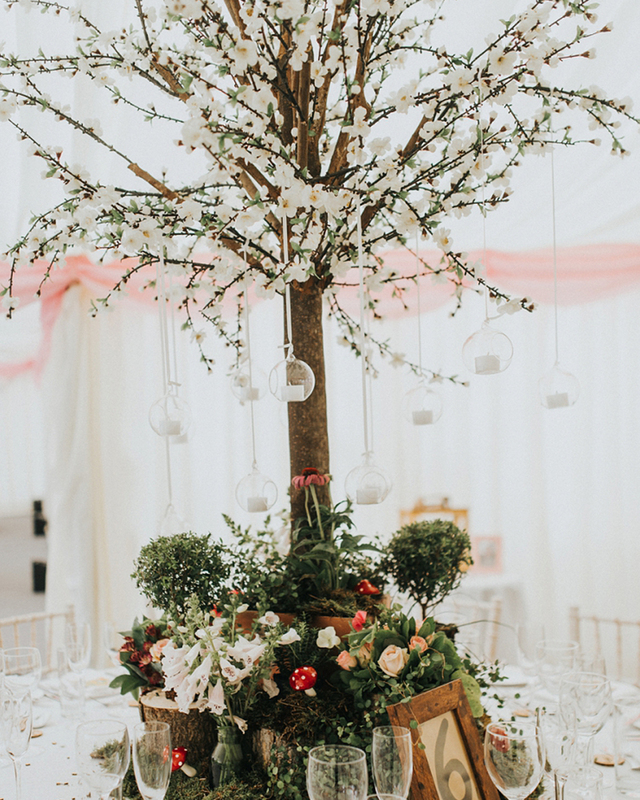 Seasonal blooms in glass jars sitting on slices of wood gave a rustic vibe to Beth and Joe’s romantic wedding at Curradine. 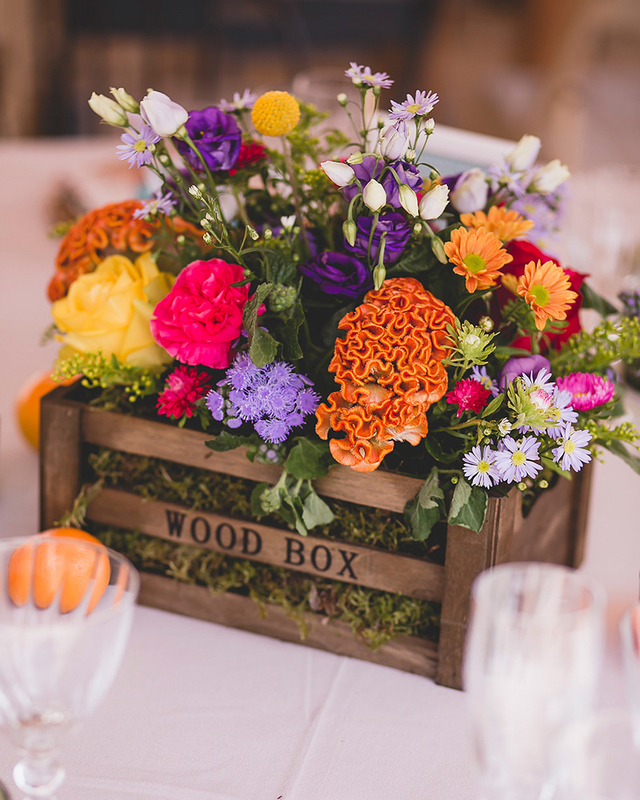 While they married in autumn, you could simply adapt the look with beautiful spring flowers. 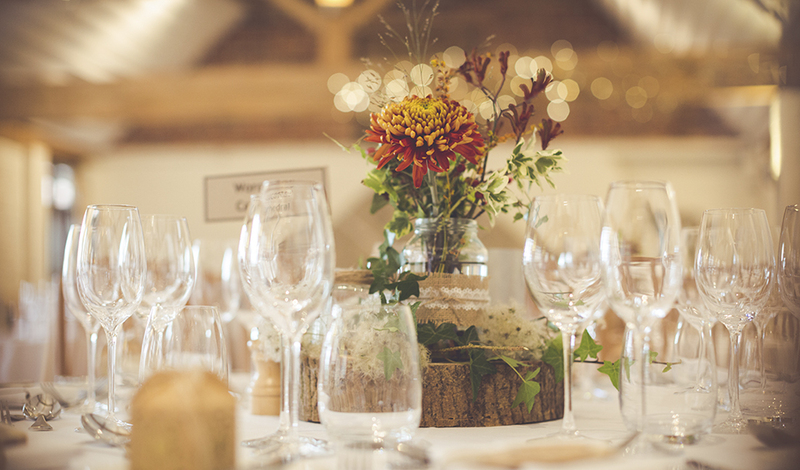 Change the style of your centrepiece by using different vessels filled with seasonal flowers. 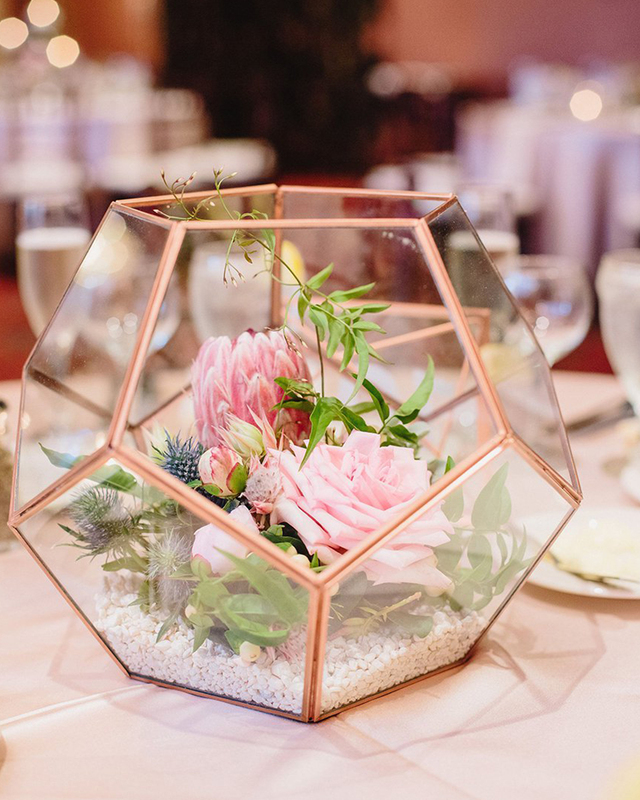 These geometric vases are on trend and introduce a warm shade of rose gold. Nothing says spring quite like narcissus. 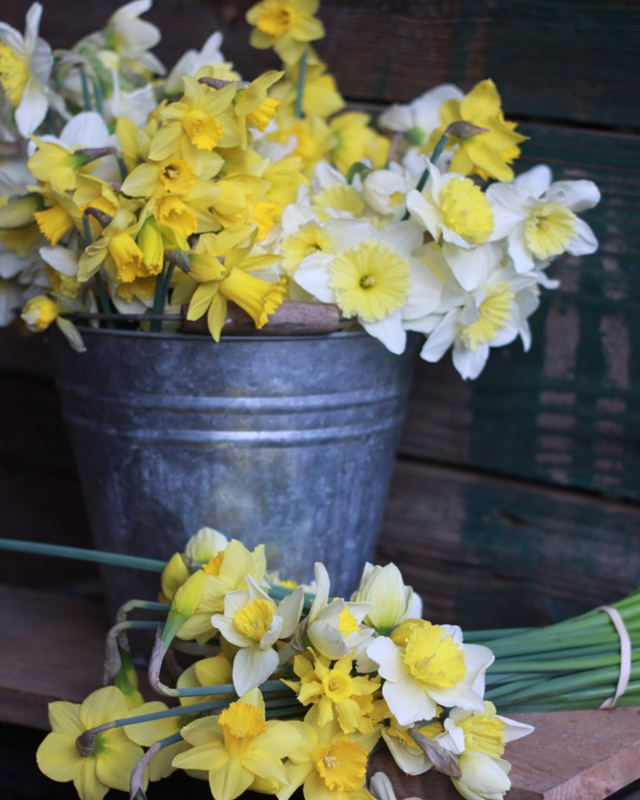 Present them simply in rustic jugs, buckets or milk churns, or choose a more formally styled arrangement. 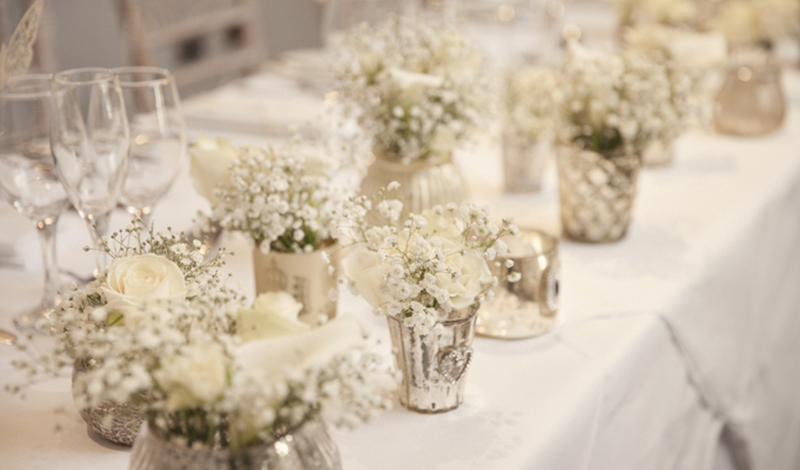 Silver vases or smaller vessels filled with white blooms looks effortlessly elegant. Introduce the wonderful colours of the season by including them all in your centrepieces. This style would be perfect for Curradine’s countryside setting. 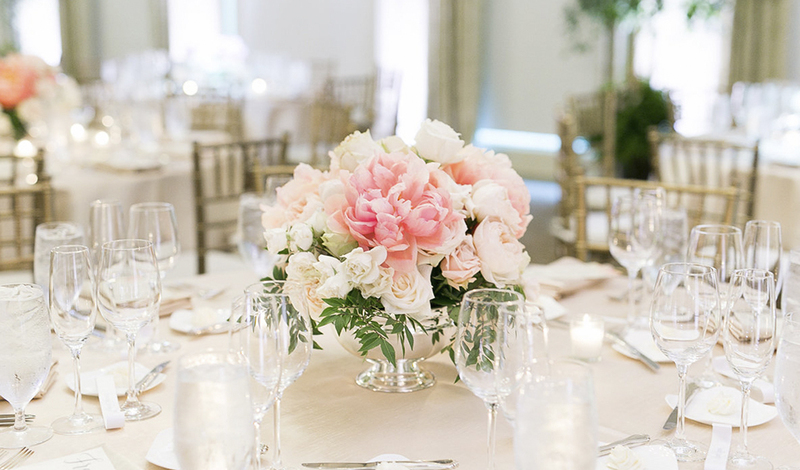 Embrace the blowsy, beautiful peonies of the season with this glorious centrepiece in pinks. Adopt a woodland theme with a miniature tree. Consider having these on alternate tables instead of every one. 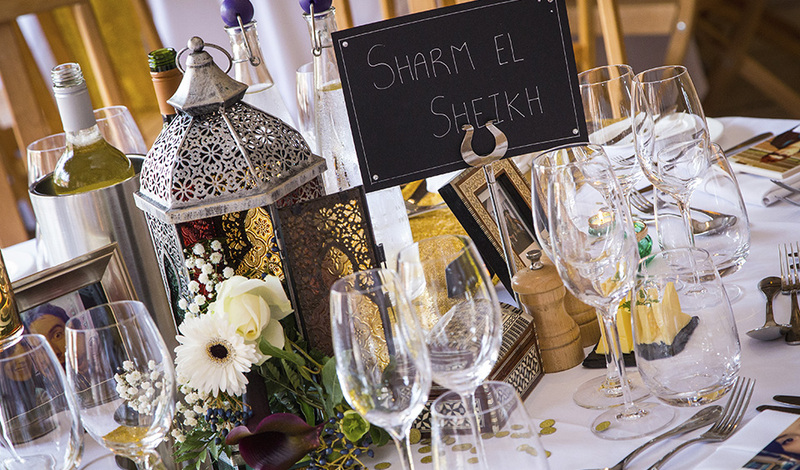 Moroccan Lanterns filled with fresh flowers added beautifully to the Arabian theme of Yasmine and Rich’s wedding at Curradine Barns. 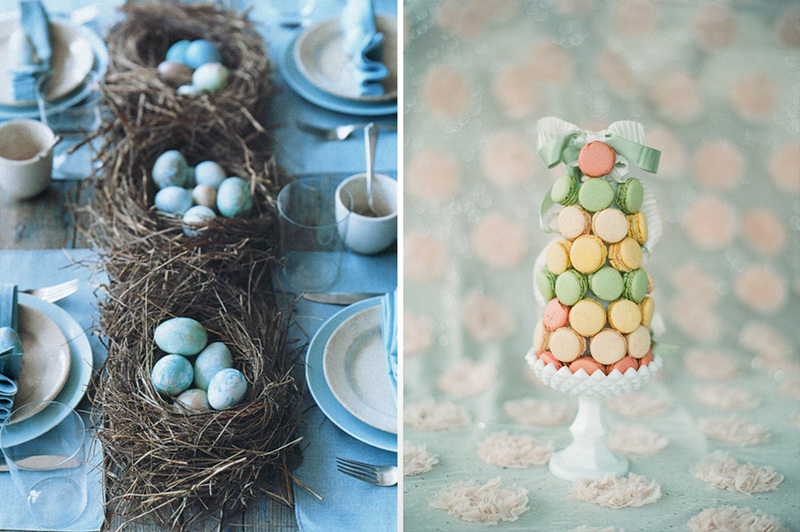 For an Easter wedding, how about incorporating some miniature chocolate eggs? And tulips, of course! We also love this fabulous hot air balloon centrepiece – not only does it look beautiful, it adds height to your table arrangements. Of course, you might decide against flowers all together and have something completely different on your tables. And finally… a small stand of macarons in pastel shades of spring might just be one of our favourites! If you have yet to visit Curradine Barns, we would love to show you all we have to offer. Simply give our friendly team a call on 01905 670039 or contact us online.